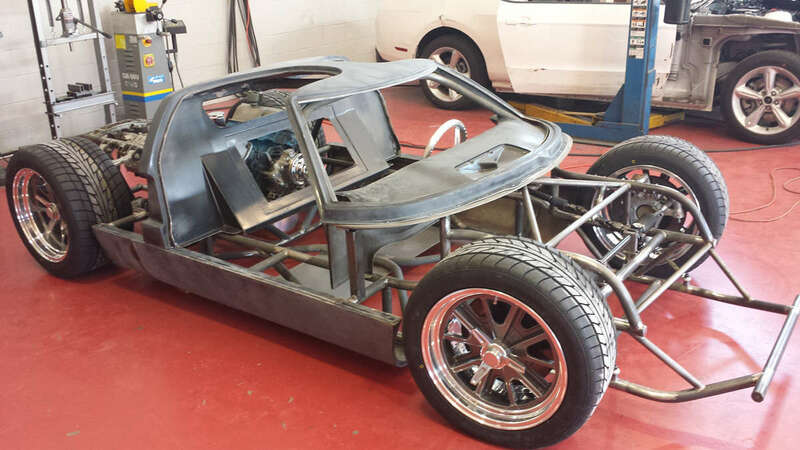 After spotting a nicely crafted tubular space frame at Carlisle, our curiosity was piqued. 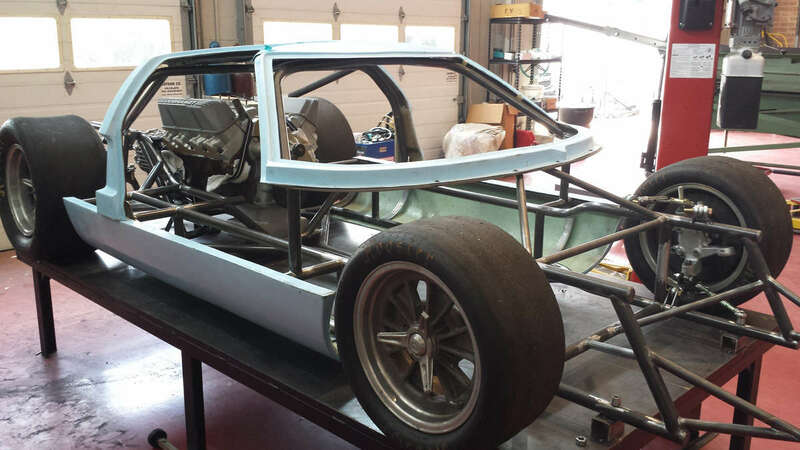 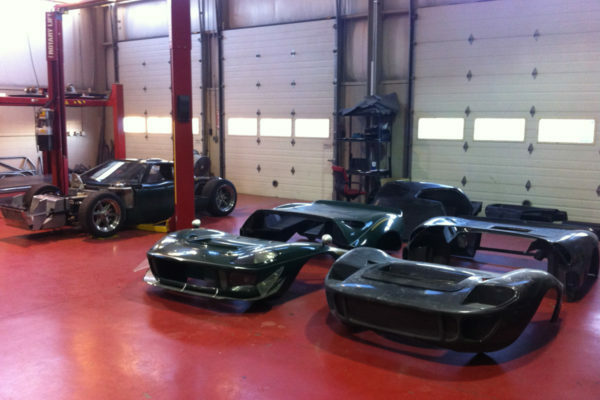 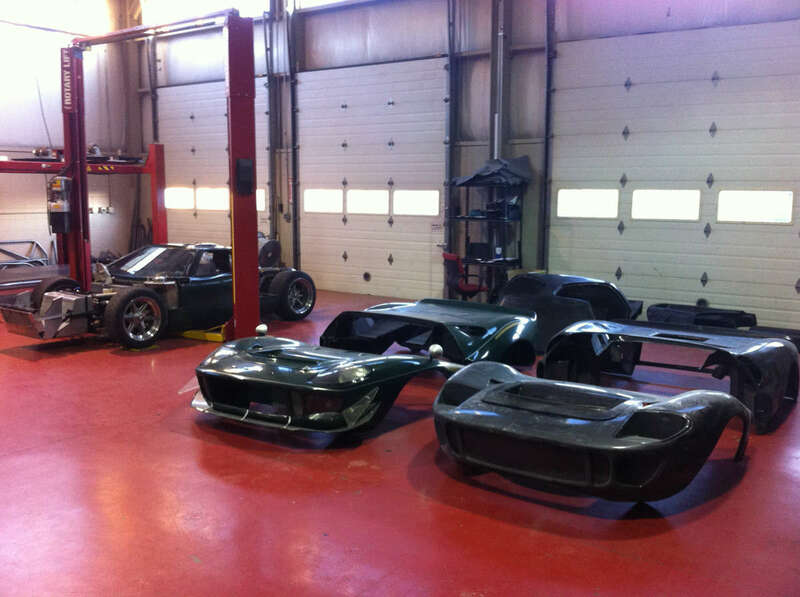 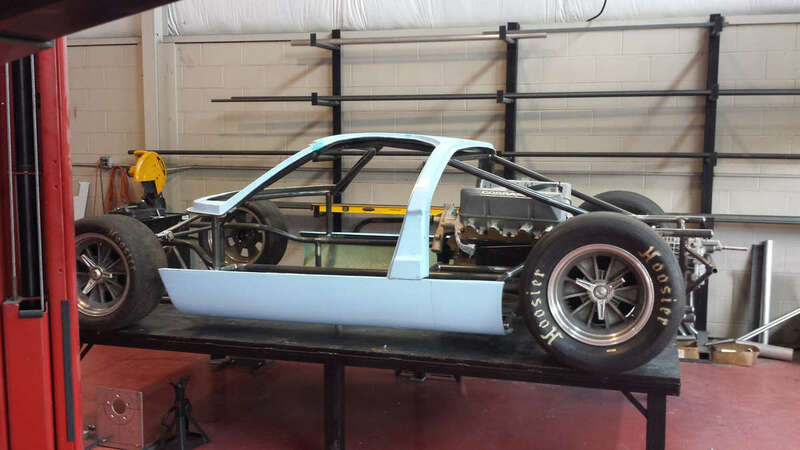 So we asked Dustin Trumbore at Performance Fabrication Works to send us more info on the car. 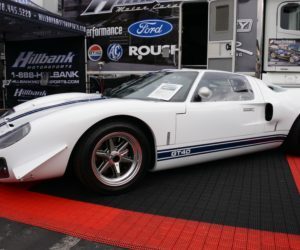 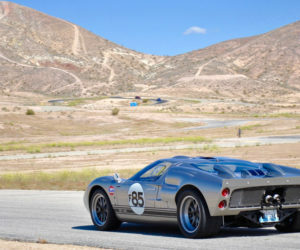 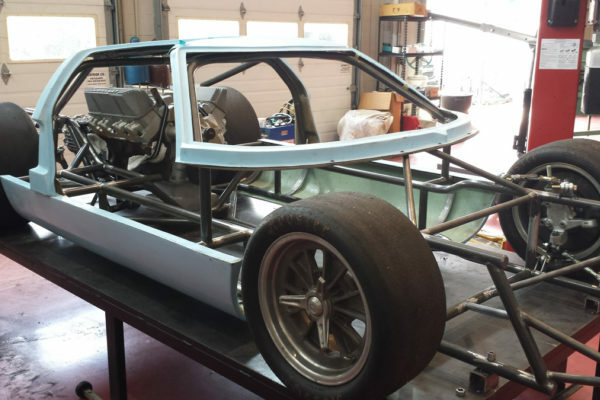 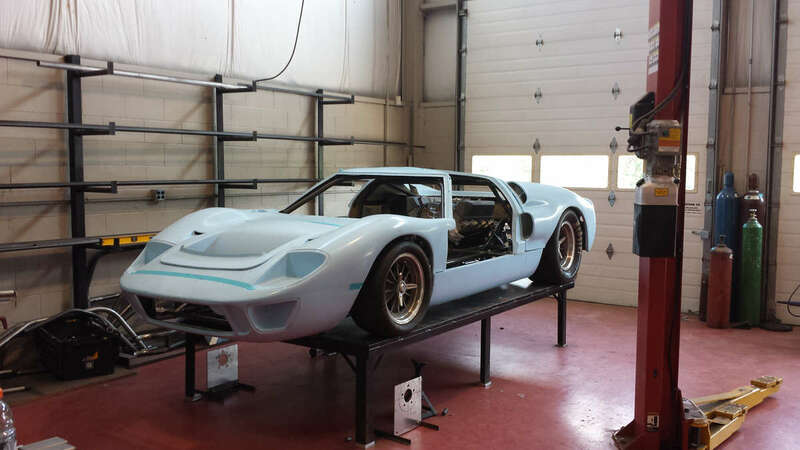 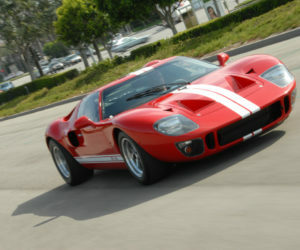 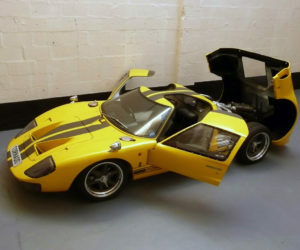 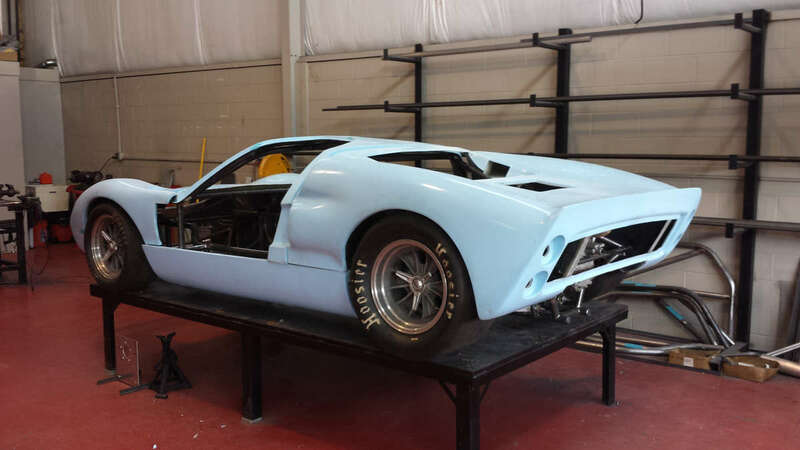 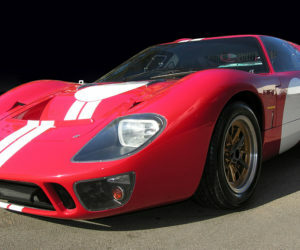 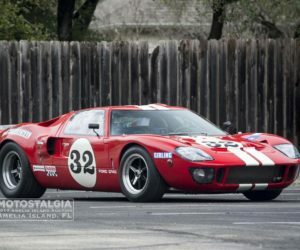 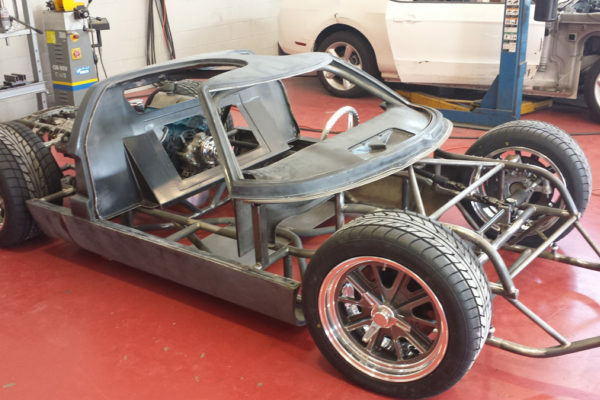 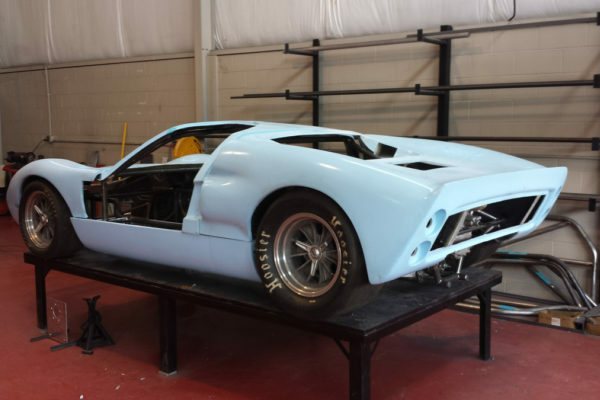 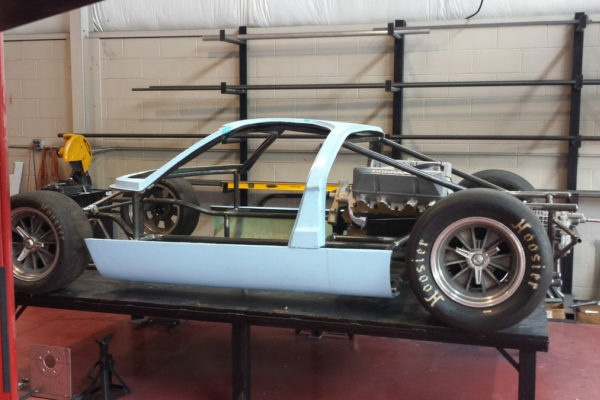 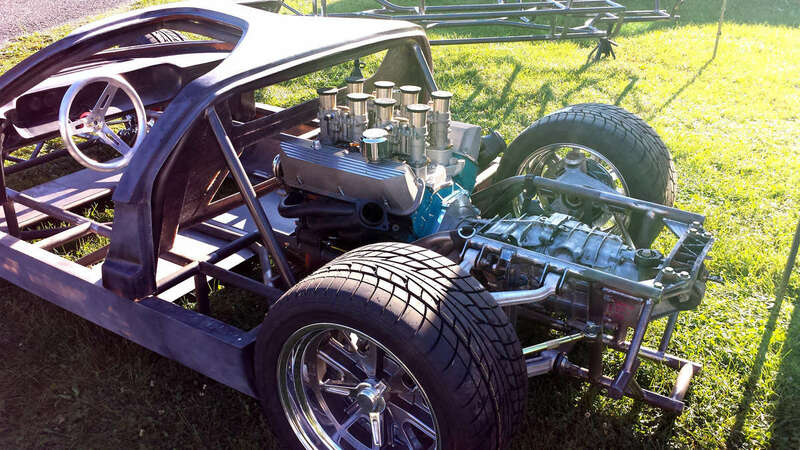 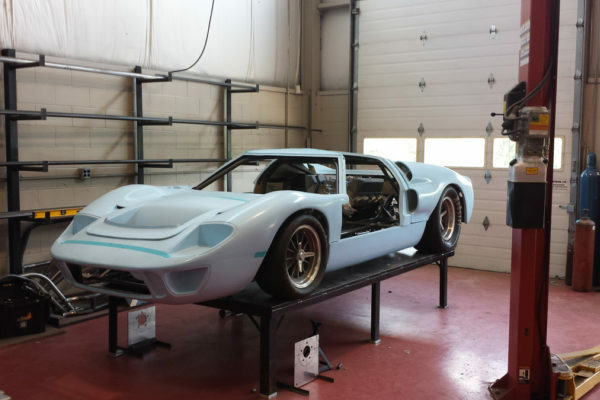 He relates that it’s a repro of the MK2 1966 GT40 (which uses a monocoque setup instead), and both small- and big-block versions are in the works. 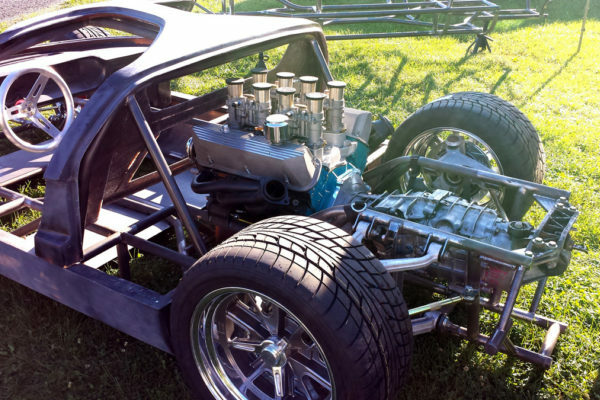 Other differences from the original include a Porsche G50 gearbox (rather than a ZF transaxle) and Corvette C5 rear suspension with custom fronts. 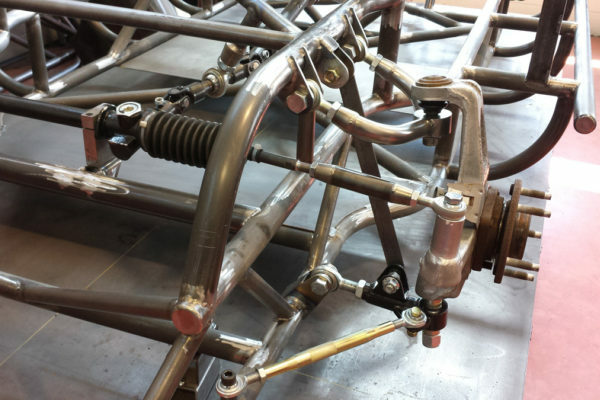 Trumbore adds that, “For the frame, I did the engineering design in Solidworks then tested it in a structural analysis system.” He used 1 1/2" x .120 wall, certified 4130 Chrome moly tube for the main members and 1" x .120 for the bracing. 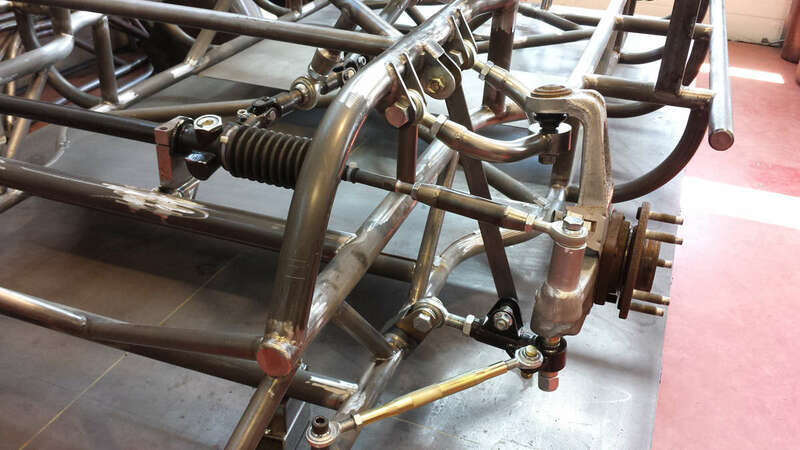 The tubes were bent on a hydraulic mandrel bender and coped for fitment. 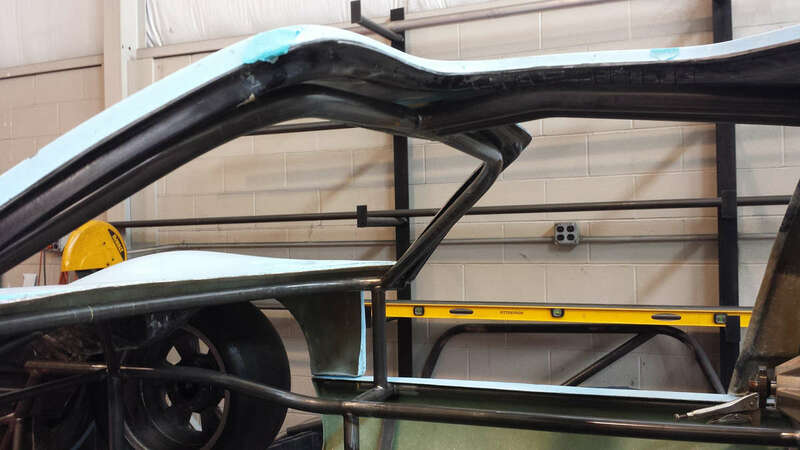 The frame was fit on a 6' x 10' x 1" fixture table and fully TIG welded by an AWS certified welder. 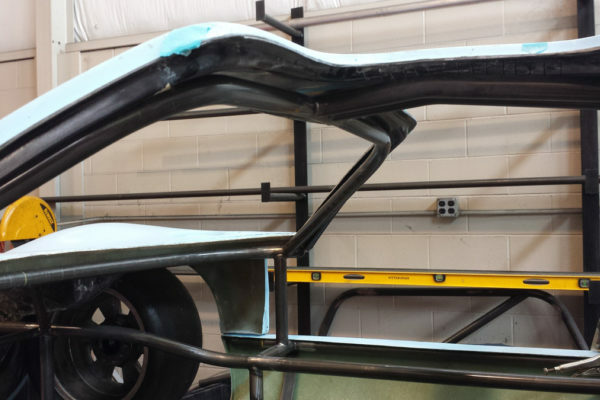 After welding the frame gets heat treated for stress relief.